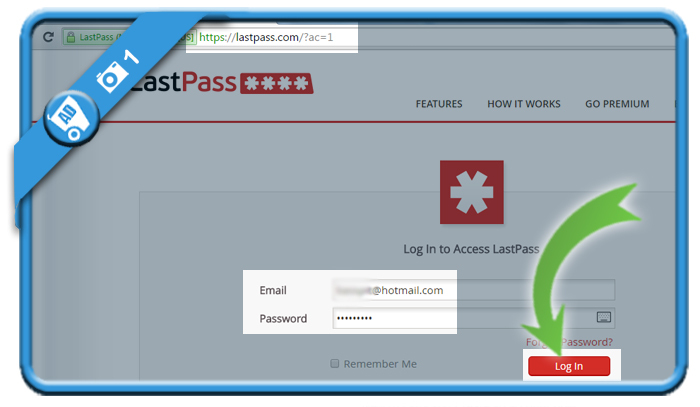 If you want to close a LastPass account, you can do that easily in the Settings page. 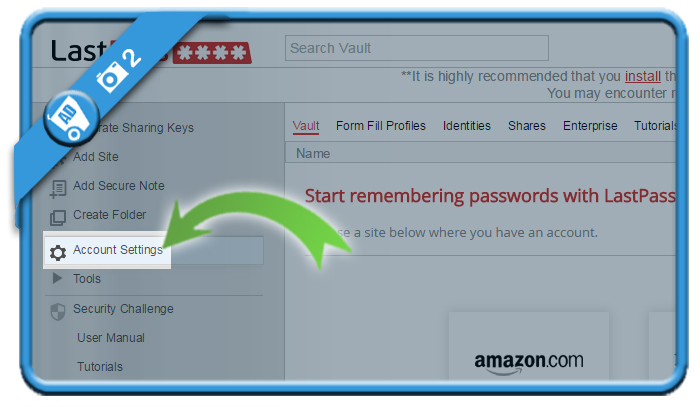 can be found in the left menu right after the login. 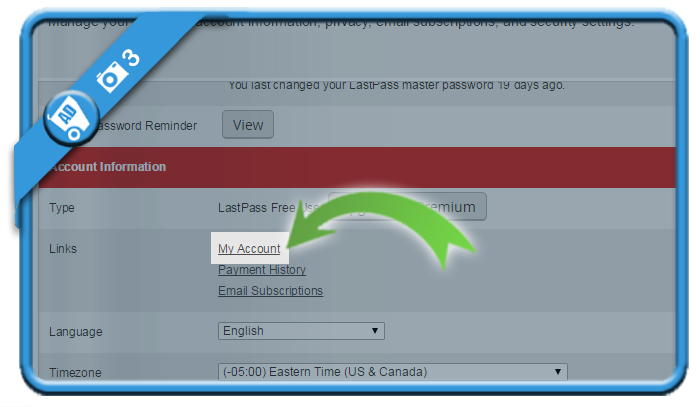 is a grey link that you’ll see in the Links section under Account Information. 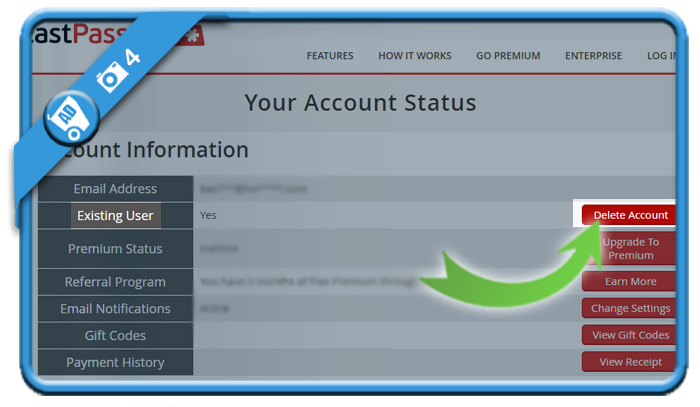 is a red button that you’ll see now next to Existing User | Yes. 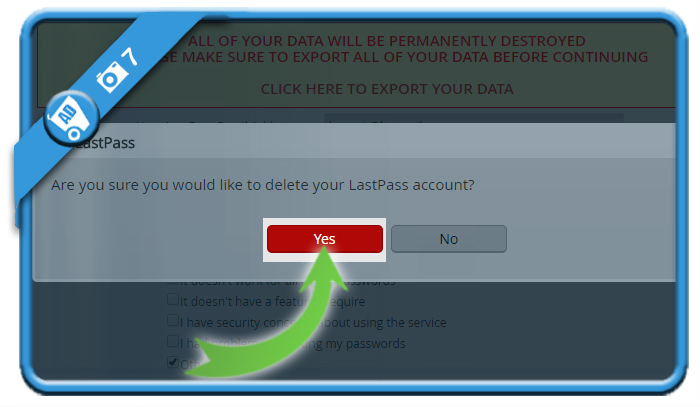 and choose for the irreversible process that will permanently delete all of your account data. and indicate a reason of why you want to leave it (e.g. 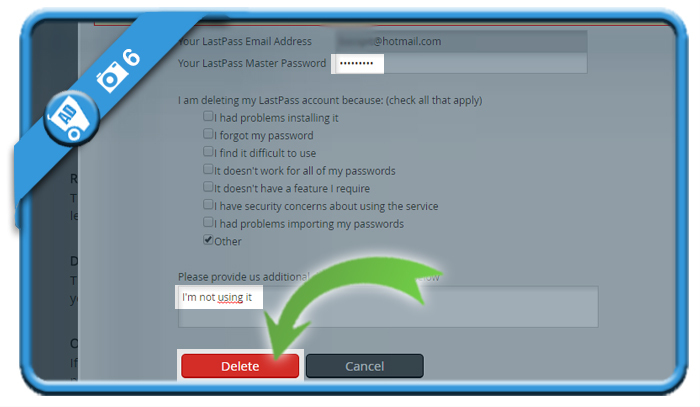 : I’m not using it) and Delete. Congratulations! 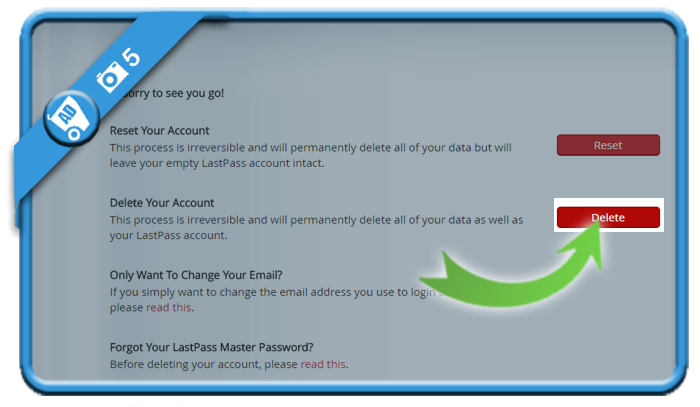 Your LastPass account has been permanently deleted. 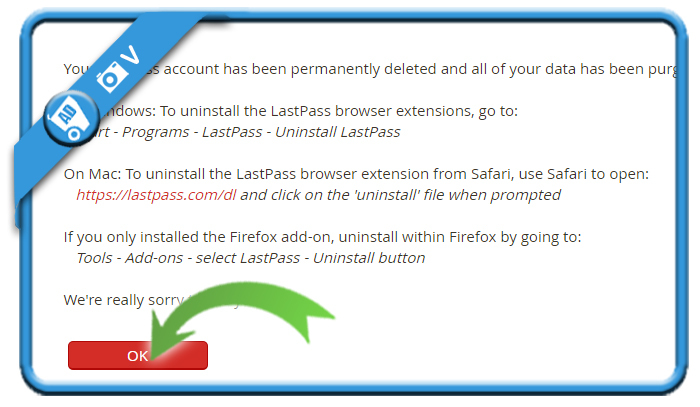 You’re promted to also delete all browser extensions.